Today I'm writing about one of those areas where my Libertarian politics are at odds with those of my conservative friends, and even with my personal religious beliefs, so it's not a position I hold lightly. You may, in fact, be completely adamant in your personal convictions on the matter. I'm stating in advance that this isn't about your personal convictions, or mine. It's about our duty to respect that other people have solid convictions of their own. In it, Matt argues against suicide and assisted suicide because... well... because you shouldn't. That's really the entire depth of the argument. Now, let's put this in context: Brittany Maynard has a terminal brain tumor, and has chosen to end her own life on November 1st, peacefully, quietly, at home, surrounded by family and friends, while still in possession of her faculties. Brittany is 29 years old. Now, if you don't think that decision takes some honest-to-God serious guts, try it. Seriously. Don't actually commit suicide, of course, but try honestly contemplating that action right now as you read this. Not as someone who is down-and-out and depressed and lost everything, but when you're still outwardly in the fullness of life, as a conscientious decision. How much willpower and determination would it take for you to swallow the pill? Not as an act of desperation, but as a willful, logical choice. When people do it to save others we call it "sacrifice" and celebrate their heroism. Suicide is not about cowardice. Now I've read enough of Matt to have a very good idea of what he's desperately trying not to say here and why he's dancing around it; instead going with the weak argument that he did. I strongly suspect that Matt's position is purely religious, and he believes that a person making the decision to commit suicide isn't heaven-bound. Given closer proximity to death they may still have time for an awakening. And he has the romantic notion about the bravery and dignity of "a woman who fights to the end, survives for as long as she can, and withers away slowly, in agony, until her very last breath escapes her lungs?" Matt says he hasn't witnessed this kind of choice personally, but I have. My mother died of lymphoma, inoperable and terminal. Now, it is a fact that there was no cure for her. It is a fact that the treatment she took had no chance of saving her... she took it only for the slim possibility that the doctors would learn something from her that could be save someone else in the future. It is a fact that even this eventually had to give way to the reality that further "treatment" was useless. And it is a fact that no amount of pitiful, pathetic, impotent, useless "fighting" would prolong her life even a second. Now, my mother did not commit suicide, though she certainly had enough drugs on hand to finish the job. NOR did she fight tooth and claw to the end. What she chose to do was wait patiently for the end, submitting to God's will on the matter. And she died peacefully, quietly, at home, surrounded by family and friends, mentally alert, though no longer in possession of her physical faculties. Just so you understand the difference between my mother and the "woman who fights", when her caregiver Peggy saw Mom wince in pain near the end (and her lymphoma was systemic... quite literally everything hurt), she asked "Are you scared?" My mother replied, "No darling, I'm impatient, and God is dragging His feet." To steal Matt's words, "Is that person not brave? Is that person not dignified? I thought we applaud that kind of person." And I do, every day. Sadly, Matt didn't apply these words to someone like my Mother, who represents a third choice that doesn't fit into the false dichotomy he advances. Futility is not bravery, nor is it dignified, though Matt argues that it is. What my mother chose... acceptance of God's will... takes far more guts, and far more grace. Now please note that from our perspective the end result for my mother and the fighter are the same... both are dead. But there is a vast difference in how they died. One saw the inevitability and gave herself to God; and the other just eventually dies, kicking and screaming, not wanting to go, but dying anyway. One is looking ahead to what she will gain; the other behind at what she will lose. Sorry to phrase it so harshly, but the point needs to be made: YOU ARE GOING TO DIE. So am I. So is Matt. Nothing will prevent that. Absolutely nothing whatsoever. Nothing. But we do have the choice in how we face death. Now, we live in a society designed by founders who would today be called Libertarian. Individual freedom is the highest goal of such a society. It trumps religion, as it guarantees that everyone is free to worship or not as he or she pleases. It trumps our secular differences, as we are guaranteed equal treatment under the law. It trumps the interests of the government itself, as we are guaranteed the right to protest and means to take arms against that government should it turn hostile. Our Constitution guarantees even those natural rights that are not explicitly listed. So where is Brittany Maynard's individual freedom in Matt's argument? Why is it completely absent? If we truly own a thing, we control that thing. We can buy possessions just to destroy them if we choose, because they are ours. If you own nothing else in this world, you own your skin and the flesh it contains. You own your own mind, and by every natural right in the Universe, you should have the power to do with it as you please, to include destroying it, so long as you don't harm another in the process. And since we all die eventually, we can exclude mere grief as a "harm"... we will all experience grief and must learn to deal with it. The only even briefly viable argument against this is that we do not own our lives... they are "on loan from God"; but a quick refresher on the First Amendment washes even that away. You may believe that, and you may even be right, but it does not change the fact that others may not believe the same thing, and they still have the right to control their own existence. You can try your damndest to argue against this, but you will fail every time. It will always come down to an inconsistency between your stated support for individual liberties and your actual desire to force others to act as you yourself prefer. Denying the choice is base hypocrisy to those who claim they believe in the rights of the individual. Personally, I see great similarity between Brittany's attitude toward death and my mother's; there being two distinct differences; one religious, the other physical. Both women accept its inevitability with courage and dignity. My mother was content to let God act as He will, but Brittany may not share those beliefs, and that's her right. But my mother's ailment was purely physical, while Brittany's is of the brain, and will eventually affect her mind. If she is to make a decision at all, it needs to be while she is still in the possession of that ability. I cannot deny her right to do so, nor begrudge her exercise of that right. There's just so much wrong with Matt's piece I have to take the points one at a time. Matt writes, "we do not own our lives". If so, we own nothing. Slavery was abolished on the exact principle that we do own our lives. Cogito ergo sum is the beginning of philosophy. Our sovereign ownership of ourselves is the foundation for all property rights. Matt continues to use the term "suicide". It means "to kill one's self", and while technically accurate it is not descriptive of what Brittany's doing. Hers is not an act of despair, but the choice of a good death. "Good Death" is the literal meaning of "Euthanasia". If you have a beloved pet that is suffering, you grant it a good death via euthanasia, and this is out of compassion; not malice or despair. Surely we can grant that a fellow human being might desire at the very least the amount of compassion that you would expend on a dog. Matt tries to make Brittany's religious argument for her. That assumes she's both ignorant of it and didn't take it into account. Bah. One doesn't make such a decision lightly. Matt uses the phrase "celebrate suicide". Again this is inaccurate. Supporting someone's decision is neither a celebration nor an endorsement of suicide-for-all. Nobody is suggesting that 27-year-olds start downing curare and hemlock en masse. It's simply support for Brittany's decision and acknowledgement of the fact that it was difficult. We can provide equal support for the woman who is a fighter and the woman who submits to God's will. We will all die. Matt repeats "LIFE HAS VALUE" over and over again, as if it negates everything else. Yes, Life has value. So does Free Will. So does our choice of what we leave to those behind. Even the least consideration... economic... has value. The value of Life is but one factor in a complex decision. When one knows that one will die a horrible, prolonged, agonizing death, and nothing will come of it but death itself and financial ruin for one's heirs, then it is surely reasonable to factor that in, and decide whether the value of living that agonizing, prolonged death outweighs the burdens you place on your family. Not just the economic burden, but the emotional turmoil and the horror of watching you descend into hellish agony as well. Especially when the alternative is a party, reminiscence, fond farewells, hugs and kisses with the inevitable tears, loving "goodbyes" and a peaceful exit. Matt writes, "Life is valuable because it is life. If you deny this, then you deny everything." This is irrelevant. One can accept that Life is valuable without concluding that it is more valuable than every and all other factors combined. For instance, we celebrate the heroes who selflessly give up their lives to save others, be they firemen, police or other first responders. We celebrate the military men and women who bravely sacrifice themselves for the purely abstract concept of "freedom". That sacrifice is made, by the way, for the very same freedom that Brittany is exercising. Denial of this simply stems from the fact that you don't like how she's exercising it. That doesn't make it your call. Matt writes, "After all, euthanasia happens not when the individual decides that her life has no value, but when the medical and governmental authorities decide it." This is pure hogwash. It completely ignores the case at hand. Here, Brittany herself is choosing euthanasia, not some distant authority. Matt writes, "How can we allow doctors to prescribe death?" More hogwash. This isn't about a doctor "prescribing" death; it's about a person choosing a good death over a bad one; with "good" and "bad" defined by their own criteria, not someone else's. Matt writes, "If euthanasia is legal, and if it is only legal under certain strict circumstances, then we are saying that life, under those circumstances, is objectively undesirable." Again, hogwash. What we are saying is that under those circumstances the individual is empowered to determine for his or her self whether Life is subjectively undesirable. 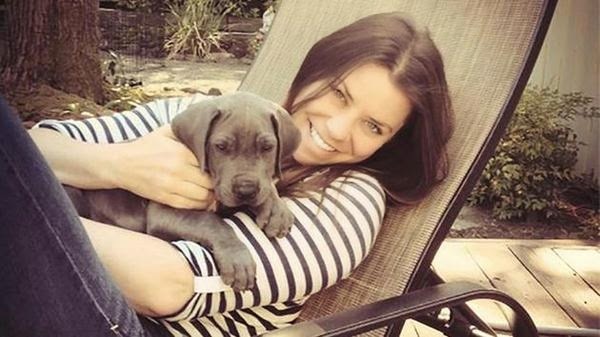 Matt writes, "We are already cheering on Brittany Maynard’s suicide because we apparently think it foolish or even cowardly to live when suffering is certain and death is on the horizon." Once more, hogwash. We are supporting her decision because it is her decision to make. There are no easy decisions here... we'd support whatever choice she made, merely because it's hers and in the end it will make no difference. She will die, and she deserves at least that bit of validation of her final act of free will, whatever that may be. Matt writes, "Death is not a solution." Prolonging agony is not a solution either. Death will happen anyway. Your religion may offer a solution, but again I refer you to the First Amendment. Matt writes, "Suicide is not dignified." Yes, it can be, and far more so that futile denial of the inevitable. Matt writes, "If suicide is heroic, then everything we’ve previously called heroic isn’t." Pure unadulterated hogwash. Much of what we've previously called heroic is exactly suicide. When a soldier sacrifices himself, it's suicide. He deliberately puts himself in the path of a bullet or bomb. We give out medals for that kind of suicide. We celebrate it. We make movies about it. Also, Matt is decrying Brittany's support for a group called "Compassion and Choices". I've linked you to them, although Matt links instead to a page that talks about them. They say nothing more than I have here... that it is your life and your choice. Now, I want to make this very, very, clear. When I say that I have the right to dispose of my life whenever and however I see fit, that does NOT under mean that I intend to do so now, or tomorrow, or ever. Rather, it acknowledges that I do, in fact, have that right. Frankly, I don't think it's successfully arguable that I do not. Nor is it successfully arguable that if I were determined to do it, you could even prevent it. I don't have to share my intent. You need not know about it until it's done. Matt Walsh himself has argued in favor of keeping lethal weapons on my person for the express purpose of taking other people's lives should the need arise to defend my own. I agree with that as well as to defend the more abstract right of "freedom" with lethal force if need be. but if I have the right to take their lives, what denies me the right to take my own? There is nothing whatsoever that can be done to deny someone a suicide. What can be denied, though, is a "good death": peaceful, painless, surrounded by loving family and friends. Also, acknowledging someone's right to make a decision does not mean that I encourage or "celebrate" the choice of death. It means that I acknowledge that it is their choice. I will certainly offer alternatives if they exist; and certainly prefer my mother's attitude to that of Matt's "fighter". But when a person's choice is made about their life I will respect it and not call them cowardly and undignified for choosing differently than I might have chosen under the same circumstances. That behavior, Matt Walsh, is very, very sad indeed.